The rods are made of steel. 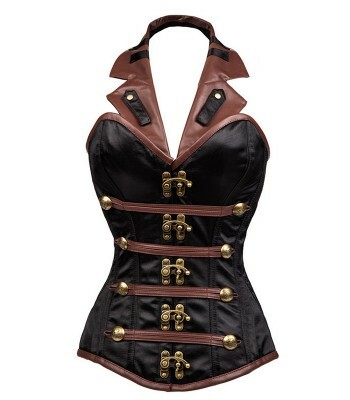 Take metal hooks on the front of the corset, this facilitates removing and putting the garment. Pair it with some leggings.